Need more information about booking Home 7263187 ? Lovely renovated Victorian, ideal for large family or group of friends who want clean, safe, centrally located self-catering accommodation. The house is very spacious with seven bedrooms (currently only Bedroom 1 & 7 are configured to be double rooms, but we could configure rooms 2 & 3 to be double rooms as well, in that case you could have 4x double bedrooms), 3 bathrooms, fully equipped eat-in kitchen opening out onto braai patio area, sitting room with verandah and enclosed garden. 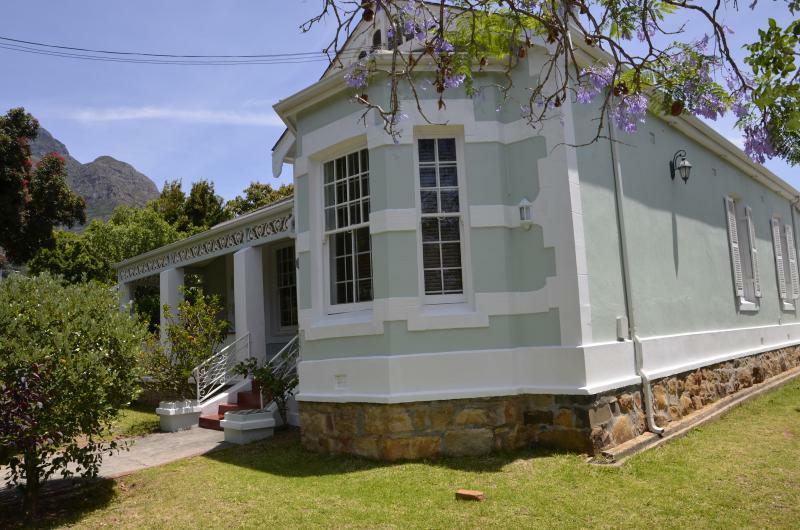 Situated on the slopes of Devil's Peak, easy access to UCT (if you are coming for graduation), city, V & A Waterfront, beaches, Table Mountain, Winelands. Public transport, shops, within walking distance. Visit the penguins at Boulders Beach, Cape Point, enjoy the sunset concerts in Kirstenbosch. Cape Town has it all: theatres, restaurants, night life, outdoor adventure, beaches, and fabulous weather. You could stay a month and not see and do everything!!! The property may only be occupied by the tenants having rented it, no parties (to include external guests) are allowed. You can get in touch with Ferdi (the owner) through the contact form on this page. Send Ferdi (the owner) an email through the contact form on this page. Alternatively, if there’s a phone number on this page, you can call them. How do I contact Ferdi (the owner)? If you’ve already booked, go to Manage your holiday booking to view Ferdi the owner's contact details or send them a message. Or send Ferdi (the owner) an enquiry through the Contact the owner/manager form if you’d like a quote or more info first. When you pay online through the Book your stay form, a booking request is sent to Ferdi (the owner). You’ll find out within 24 hours whether they’ve accepted - no money will leave your account before then. You can also request a quote from Ferdi (the owner) through the contact form. The owner will email you the total cost for your dates and a link to book and pay online. Use the Book your stay form to pay provisionally online. You can pay by credit/debit card or PayPal. Ferdi (the owner) will have 24 hours to accept the booking and no money will leave your account before then. Why can't I call Ferdi (the owner) before booking? You’ll need to contact Ferdi (the owner) to do this. Send them a message in Manage your holiday booking or through the contact form on this page. You can request to change the dates or number of people on your booking via the Manage your holiday booking page. To change your holiday dates use the Edit booking button. If you need to change the number of guests staying then send Ferdi (the owner) a message. If Ferdi (the owner) agrees, they’ll send you a revised quote outlining the changes. You can review and accept/decline this from the Manage your holiday booking page. You’ll have 48 hours to take action before the revised quote expires.